After 10 years of working in media arts and education I am now primarily a freelance documentary cinematographer. 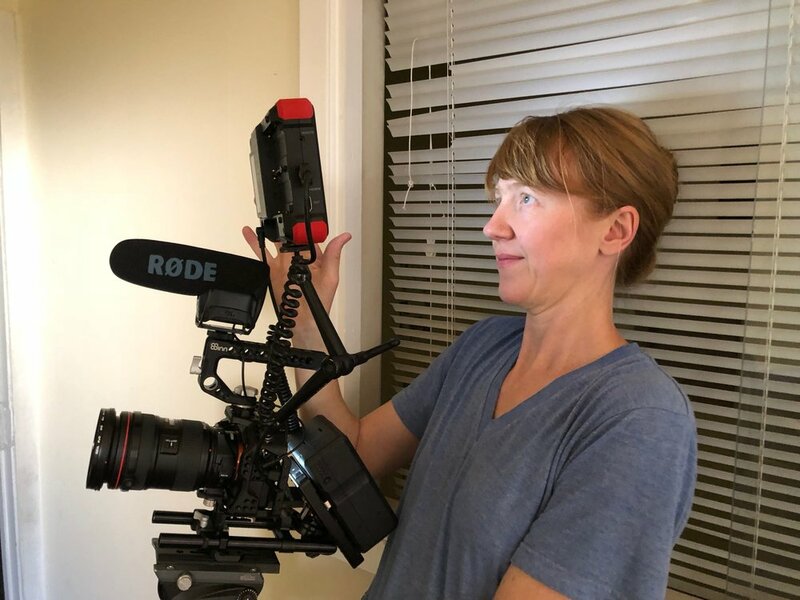 Currently based in Los Angeles, I’ve recently worked as a director of photography on various documentary projects for talented directors including Joanna Sokowloski and Kate Trumbull-LaValle, and Sara Newens, as well as regularly filming programming for Southern California’s local PBS station, KCET. I am drawn to places of genuine community and love exploring the ways that people get together. I’ve been an avid roller skater since childhood and I found a place for myself in a community of dance skaters in Los Angeles threatened by the extinction of their gathering spaces, the enormous indoor rinks where they skate, dance, live and love. To honor this community I began filming and co-directing L.A. Roll, a feature length documentary (now in post-production) which introduces the people and the culture of the Los Angeles area roller skating community. The film explores how a diverse group of individuals are brought together by their love of skating. There is also a strong subtext about the changing urban landscape. Born in the Netherlands, and having moved all over, that is to say, from Amsterdam to Milwaukee to Indonesia, from New York to Tasmania, I am a veteran of adapting to new environments and spending time with people from all walks of life. When I was eighteen, I moved to Hobart, Tasmania, where I worked for five years at the local landfill (“the tip”) as a member/owner of a worker cooperative, dodging bulldozers in order to salvage and sell reusable objects, gaining an invaluable education from the School of Garbage. I returned to New York to complete my studies at Bard, received my BA and MFA, and made sculptures that facilitated social interactions in public spaces. Eventually I found that the camera I was using to document these interactions was the only prop I really needed to explore my interests. My relationships with the people I am filming and with my film crew are paramount - I believe photographic images are a record of these relationships. Coming from a photography and visual arts background and having studied with teachers such as Stephen Shore, I am also drawn to the compositional and framing aspects of cinematography; for me the act of filming is often a meditative experience, a way to be in the present, to get to know people and see beauty all around me.